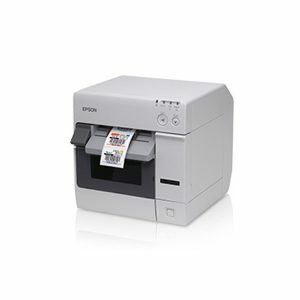 The Model Epson TM-C3400 prints labels, tickets and wristbands on demand. Its colour printing capabilities improve identification, helping prevent critical errors in a number of applications including prescription labels. This high versatile printer is compatible with a wide range of media, resulting in long lasting prints. The Epson Durabrite Ultra pigment ink resists smudging, fading, water and most other liquids. Print speeds of up to 92mm/sec and an integrated auto-cutter, printing 100 labels takes less than three minutes.